A champion team is not only an experienced head coach, a solid goaltender and a recognized sniper. The reason it is such a cliché to say, “Hockey is a team game,” is because it is true, and Ak Bars of 2018 is no exception to the rule. Every player in the Kazan collective contributed to the eventual victory, so we at KHL.ru devoted this page to all of the actors in the heroic Ak Bars drama. Garipov is, of course, the undisputed number one goalie at Kazan, but every star needs a reliable understudy if the team is to even consider mounting a challenge for the Gagarin Cup, and Sharychenkov has even won the trophy back in his Dynamo days, and he was called up to the national team for the Eurotour. One could be forgiven for thinking that Emil Garipov has minded the Ak Bars net for all eternity, and many raise an an eyebrow when they learn he is still only 26. In fact, he already had experience of standing between the first-team pipes before the era of the KHL, albeit a solitary appearance (a shutout, of course) in the 2007-08 campaign. For a long time, Konstantin Barulin provided serious competition, but once the coaching staff put their faith in Emil, he made the role his own. In the Championship-clinching Game 5 against CSKA, he proved equal to a barrage of shots and kept the Muscovites off the scoreboard, and it is no wonder Justin Azevedo suggested his MVP title should have gone to his goaltender. The return to Russia of the legend, after over 1,000 NHL appearances for Montreal, was big news back in the preseason. And many were surprised he chose Tatarstan, rather his “homeland,” whether former club Dynamo Moscow or nearby Vityaz, where he spent the 2012-13 lockout. The season certainly had its ups and downs, with Markov either shining in offense but letting defensive duties lapse, or hanging back and doing the opposite. Nevertheless, he found the right balance for the playoffs, and while the 39-year-old only recorded three points, his experience in tricky moments was invaluable. A local-boy-made-good story. 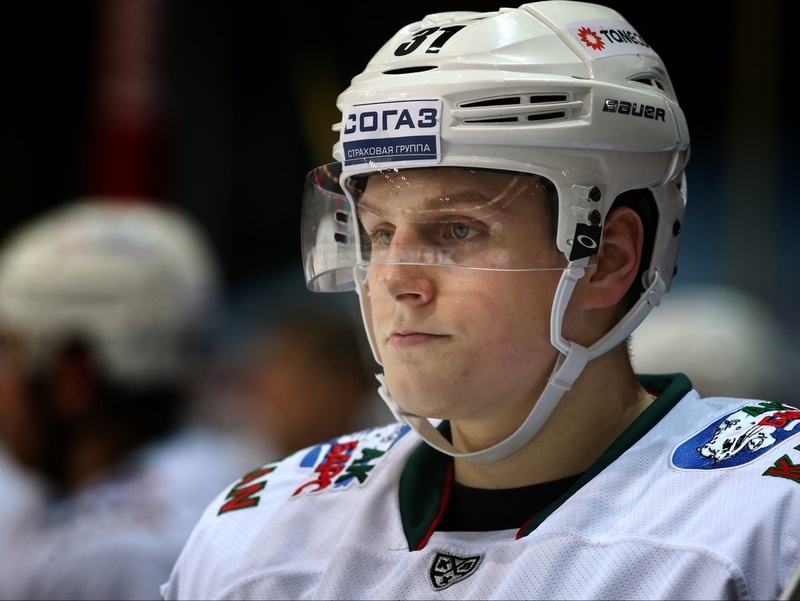 Vasily is from Almetyevsk, Tatarstan, and has played his entire career for Ak Bars, although his breakthrough season came a year after the second Gagarin Cup win in 2009-10. At various times the 28-year-old Russian international has pondered a move away, but Bilyaletdinov desired otherwise, first trying Tokranov in offense and then in powerplay, and the latter experiment was an unqualified success, to the extent that Vasily was the second highest scorer in the playoffs among defensemen. Another local lad (Kazan-born) and Russian international D-man who has spent his career with his home-town club (with a couple of exceptions – a short loan spell at Neftekhimik and half of the 2014-15 season at Atlant) and his loyalty paid off this year. It is tempting to remember him for his three minor penalties, accounting for all the Kazan team's total penalty minutes, in the final game of the final series, but that would be unjust. His figure of 27 hits during the playoffs – more than any other Ak Bars defenseman – is a more accurate reflection of his contribution. Of all the Foreign Legion at Kazan, this reliable Finn probably has the lowest profile, but that is no bad thing – not everyone can be the dashing cavalier, scoring coast-to-coast goals or making dramatic last-ditch rescues. There also has to be the consistent professional who quietly gets the job done, and one of the reasons Ohtamaa often passes unnoticed is that he rarely puts a foot wrong. This 31-year-old defenseman is unique in that, while seldom given a leading role, he has nonetheless raised aloft the Gagarin Cup with two different teams, first in 2016 with Metallurg Magnitogorsk and now with the men from Kazan. 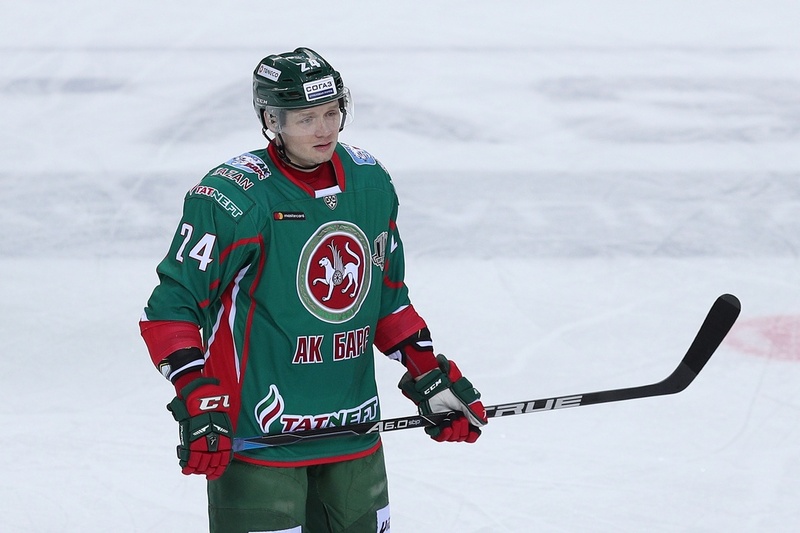 In the regular season, Batyrshin was the only Ak Bars defenseman with a negative efficiency rating, but he stepped up a gear in the playoffs and was a constant thorn in the sides of the opposition forwards. Without a doubt, the 22-year-old was one of the main revelations of the tenth season of the Championship. He had already proved himself a promising defenseman at Novokuznetsk (and even earlier, in a short spell with Chicoutimi Sagueneens in the QMJHL), but it was still a pleasant surprise how he seamlessly slotted into the Ak Bars machine. One statistic sums up his coming-of-age: in the playoffs, he blocked more shots than did any of his comrades. 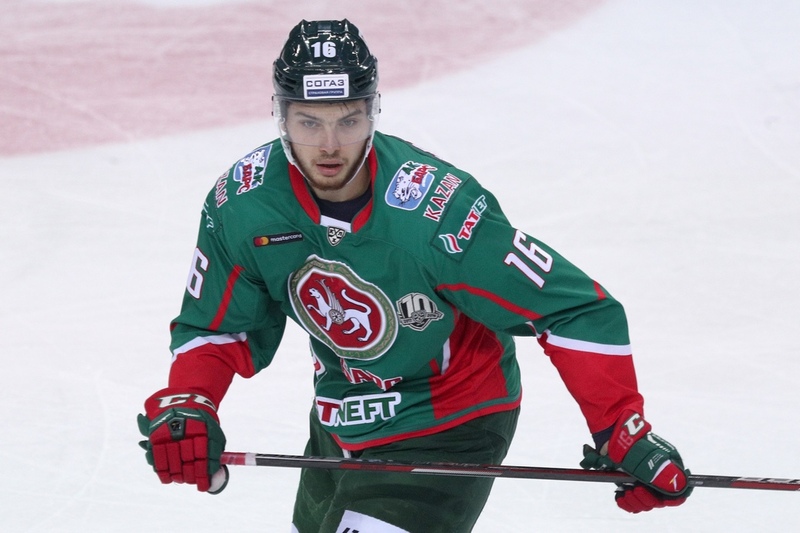 This 24-year-old native of Yekaterinburg arrived at Ak Bars from Lokomotiv in time for the New Year holiday, as part of a trade which saw Ziyat Paigin move to Yaroslavl. He is yet to hit the net for his new club, but he provided the assists for three playoff goals and appeared in three of the five games in the big final. At the tender age of 20, Sidorov is the youngest of all the Ak Bars heroes who stepped onto the ice during the victorious playoff campaign. This was his third KHL season, after his 2015 summer move (with his brother, Maxim) from his native Yaroslavl, and while he was only given an average of 5-10 minutes of ice time, and he sat out the entire final series, he was still good enough to earn 12 outings in the playoffs. This 23-year-old Kazan native learned his trade by being paired with Evgeny Medvedev, and few young players are fortunate enough to have a two-time Gagarin Cup winner as partner and mentor. 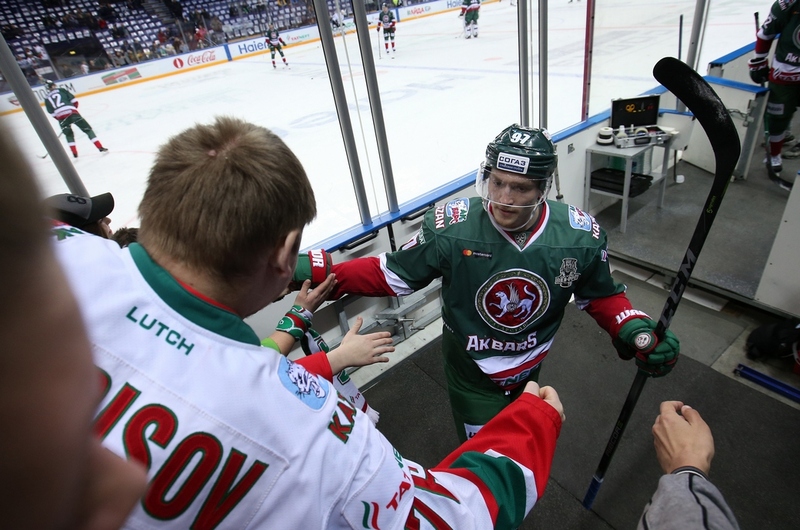 Since those days, Damir has become an established part of the Ak Bars defense, but injury-related problems prevented him from featuring in the postseason. Like Nikita Lyamkin and several other talented young players, this defenseman made the Novokuznetsk-to-Kazan journey, before being dispatched to Torpedo Nizhny Novgorod to gain some valuable experience in the first half of this season. Still only 21, Timur has earned a reputation as a competent D-man with a powerful shot, and after his return to Kazan he was given five further outings in the KHL. His time will come. Although only 23, the big defenseman started the season with more playoff experience than many of his comrades, having appeared in five games during the 2017 knockout stage. Sadly, the tenth KHL season was not a lucky one for Roman, and injury sidelined him for much of the campaign. The coach said he had resumed training before the Gagarin Cup final, but full recovery was still some way off. If you encounter the popular Canadian-with-Portuguese-roots when he is out of his team garb, you would hardly pick him out as a hockey player. His build and appearance suggest a possible team-mate of Cristiano Ronaldo. However, once out on the ice, all doubts are swiftly dispelled. What he lacks in physical size, he more than makes up for in determination, and many a defenseman would prefer to be confronted by a bigger forward, one which did not possess Justin's technique, Howitzer shot, and fighting spirit. Four years ago, in the colors of Lev Praha, he burst into life during the playoffs, and it should have surprised no-one that, this time around, Azevedo was the top scorer of the Gagarin Cup knockout stage by a substantial margin. Not many people remember that Sekac, like Azevedo, previously reached the final of the Gagarin Cup with Lev Praha, but unlike Justin he took a more circuitous route to Ak Bars, stopping off at Montreal, Anaheim, Chicago and Arizona before arriving in Kazan for the 2016-17 campaign. His first season went well, and second was even better – he was the team's top scorer in the regular season, and few will forget how he tormented Magnitogorsk in the second round of the playoffs. Injury robbed him of a place in the Conference final against Traktor, but he was back on the ice for the grand finale. A veteran of more than 200 games in the Oilers' offense, this Swedish international came, saw, and conquered. Acclimatization, culture shock, different rink size... all these frequently-cited hurdles for new arrivals were dismissively brushed aside. Lander hit the ground running, centering the first line with aplomb and making the role his own. As creative as he is combative, it is hard to imagine a better man to link the rampaging Azevedo and Sekac. Born in Dnepr, Ukraine, but a Russian international and a graduate of the Ak Bars system, he considered a move to North America in the preseason but decided to wait. For a while, it seemed a bad choice. Vladimir struggled for consistency and missed the cut for the Olympics, but to his credit, he knuckled down and we all saw the fruits of his labors. Granted, he was a little overshadowed by some of his more illustrious team-mates, but the man in the playoffs was once again the Tkachyov we know and love. Stanislav had spent his entire adult career in North America, but when he found himself marooned on the periphery of the Washington Capitals' plans, he was tempted back to his home country by the lure of the Olympics. He did not make it onto the ice in Pyeongchang, and domestic matters were not going much better. A swap deal, with Galiyev moving to Ufa in exchange for Enver Lisin, fell through at the last minute. Who would, or even could, have predicted that the 26-year-old would end up as the League's top sniper in the playoffs? Despite a resume which included previous experience with the Blackhawks, Senators, Coyotes, Penguins, and Oilers, the arrival of this Canadian from Dinamo Minsk was initially treated with some skepticism in Kazan. Rob certainly proved all the doubters wrong, and it was his hard work and great attitude – always willing to tidy up in defense and harry the opposition – which freed up so much time and space for the likes of Tkachyov, Zaripov or Galiyev to inflict the damage at the other end, and it was fitting that the workaholic forward struck the golden, Championship-winning goal. One of the first names written in ink on the Ak Bars team sheet, Lukoyanov is the epitome of commitment. In just one game against CSKA, he contributed no fewer than 8 hits, and in the Conference final against Traktor he played on after losing a couple of teeth. He did not find the back of the net during the knockout stage, but he did a huge amount of spadework. One of many unsung heroes in the Kazan roster. 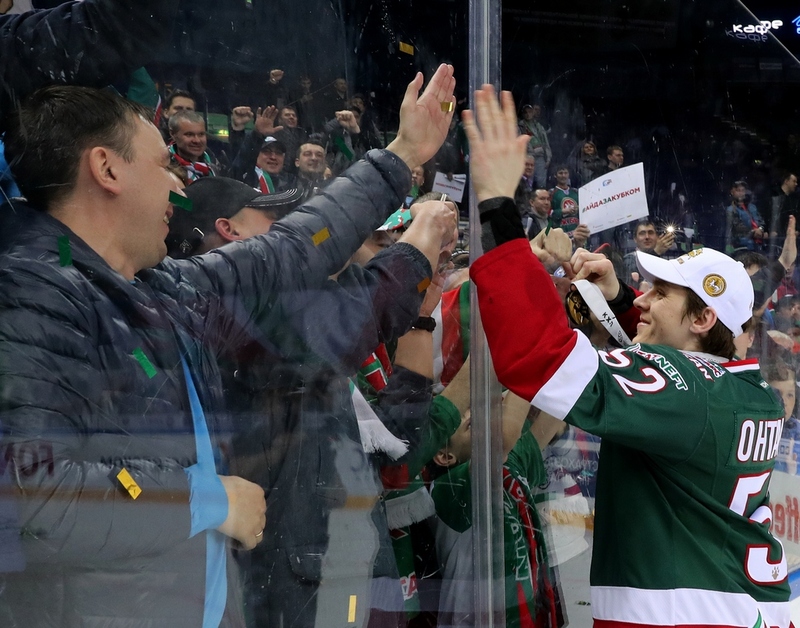 The Ak Bars captain is no spring chicken, and some predicted a retirement at the end of last season, but he signed up for another year and the gamble paid off. Admittedly, he sometimes struggles for pace and he is not a prolific scorer, but he is an inspirational leader for his team and an intimidating presence to the opposition. The former Tampa Bay Lightning and Columbus Blue Jackets man now has his second Gagarin Cup, a full seven years after first wining the trophy with Salavat Yulaev. A two-time prodigal son of Kazan hockey. Burmistrov played a solitary KHL game in the League's debut season before setting off to seek his fortune in the NHL. Following a stint with the Atlanta Thrashers, he enjoyed a long spell with the Winnipeg Jets, interrupted by two seasons back in Kazan, before heading back to the Jets, thence to the Arizona Coyotes and onward to the Vancouver Canucks, before returning once again to Ak Bars in time for the end of the regular season and the glorious playoff campaign. He only found the net once in this season's playoffs, but his trickery regularly had opponents skating off to the penalty box. A third Gagarin Cup for this forward, to go with the pair he won while playing for his native Magnitogorsk, and he is still only 24. There was a twist in the tale for the Russian international in the 2017-18 knockout stage – he scored twice in the playoffs, both times against Metallurg. Potapov was a favorite with the Torpedo fans but not of head coach Peteris Skudra, so a move to Ak Bars seemed prudent. Nizhny Novgorod's loss was Kazan's gain, as Potapov slotted seamlessly into Bilyaletdinov's style of play. The fact that he blocked more shots than any other forward is a tribute to his commitment. Glukhov has played in all ten seasons of the KHL, and he arrived at Kazan midway through the silver-medal season of 2014-15. An honest and battling fourth-line forward, he matched his career best total of 15 points in the regular season, and added a goal and an assist in the playoffs. In 2015, the year of his first Gagarin Cup final at Ak Bars, Malykhin did not get out on the ice at all during the knockout stage. This year, after playing in nearly half the regular season games, he was given five postseason outings, but drew a blank in all five matches. To be fair, injury and the resultant loss of playing time took its toll. Two years ago, the Chelyabinsk pair, Popov – Glinkin, moved to Tatarstan to develop, but stardom has so far been beyond them in their new home. Anton has struggled to earn a confidence-boosting run in the first team, and while he pcked up points during his sporadic appearances in the regular season, he was only given one outing in the playoffs, when Bilyaletdinov sent him on against his native Traktor. Glinkin's longtime line-mate made only 18 appearances in the regular season, but by the time the playoffs arrived he had carved out a place for himself in the main line-up. He might well have made it all the way to the final, but an injury in the series against Amur put a premature end to his season. Injury cruelly robbed this exciting young forward of a place in the playoffs. When Metallurg Novokuznetsk dropped out of the League, Yazkov was the brightest of many “Blacksmiths” who made the short trip to Kazan to forge a new career with Ak Bars. His account for the 2017-18 regular season shows eight goals, most of which were masterpieces. 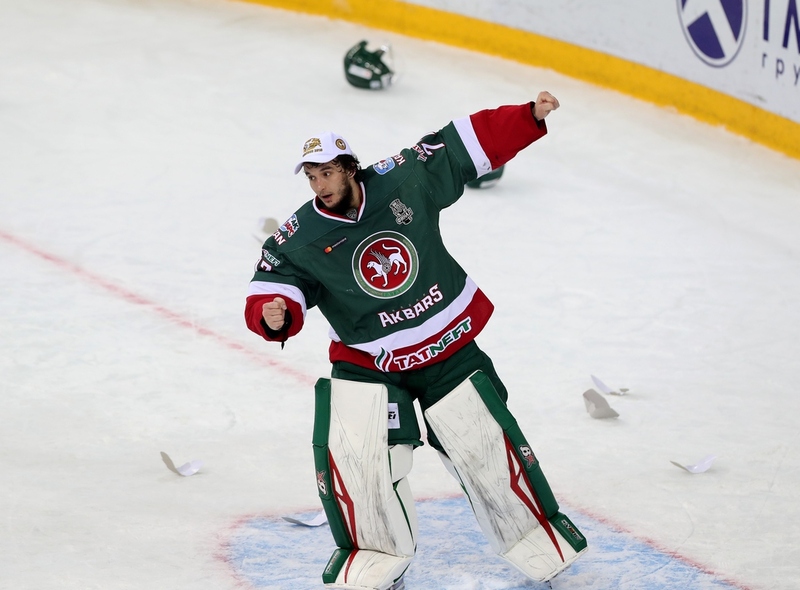 The 34-year-old was not only with the Kazan Men in their previous two Gagarin Cup triumphs at the turn of the decade, but also won the Russian Superleague with Ak Bars back in 2006. He played 19 times during the regular season, but was not selected for the postseason games. The 25-year-old's most recent KHL appearance came back in November of last year, after which Bars and the VHL beckoned. The 20-year-old forward played 11 games in the regular season, mainly in an auxiliary role, but by the time the playoffs arrived he was back with his fellow youngsters at Irbis. We still await his first KHL goal. Also performing for Ak Bars during this triumphant season were goaltender Timur Bilyalov, defenseman Stepan Zakharchuk, plus forwards Denis Golubev and Andrei Chibisov. All these players departed the Kazan club during the regular season.